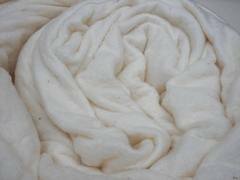 TYPE- Cotton 2/10's WIDTH- Standard 48'' Can be modulated upto 60'' USE- Upholestry MINIMUM ORDER QUANTITY- 200 mtrs COST-Rs.150/-subject to revision upto 20% based on yarn count and weave variations. Reflective Fabric is a woven fabric made from our high quality ceramic fiber yarn. Our product is used for high temperature applications. Moreover, our product is highly admired for its heat absorbing property and its extended life. We offer superior quality of Jacquard fabrics to our clients. Our Jacquard Flat Woven Fabrics are made up of the best quality raw materials. jacquard fabric for car seat cover flat woven feel with width of 58". This fabric used in Car Seat Covers. We are engaged in offering high quality PP Woven Fabric. These fabrics are used in different industrial segments like fertilizers, cement, polymers, chemicals, textiles, machinery and food grain packing. Moreover, we offer our spectrum of woven fabrics at most affordable prices to our valuable clients.